"This is my commandment: that you love one another as I loved you." A clip from "Cedar's Strong and Free" featuring Parish members: Bassam Nahas, Ramez Haddad, Fr. Maximos Saikali, Fouad Majaess. We thank the Honorary Consul Cathy & Wadih Fares for assembling the documentary. 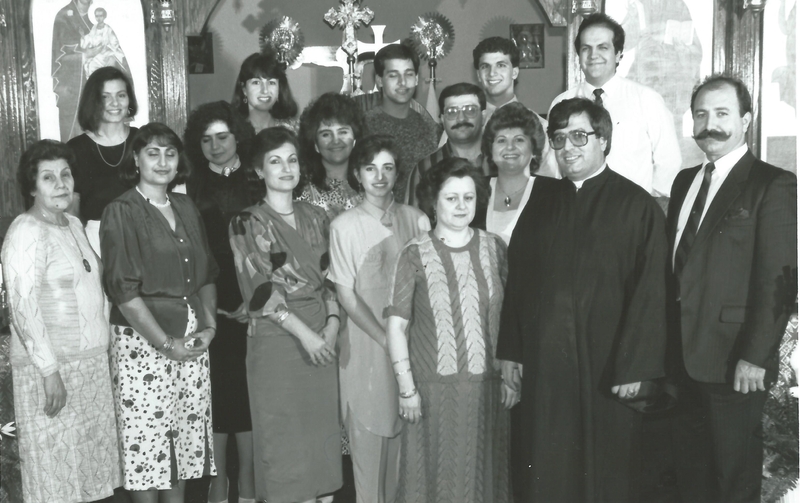 In the 1970s, numerous Orthodox Christians fled the sectarian and geopolitical tensions in the Levant and settled in Nova Scotia. Sadly, a generation later the present fundamentalism emerging in Syria, Iraq, Turkey, and Egypt has again forced minority groups (e.g., Coptics) to leave the region. The first wave of Orthodox immigrants from the Levant attended the Greek Orthodox Church in Halifax, however, the language barrier was problematic since they spoke primarily Arabic, French, and English. It was hoped that a separate Church could be built, with the objective of having a Priest recite prayers in Arabic during regular services, weddings, funerals, and baptisms, etc. 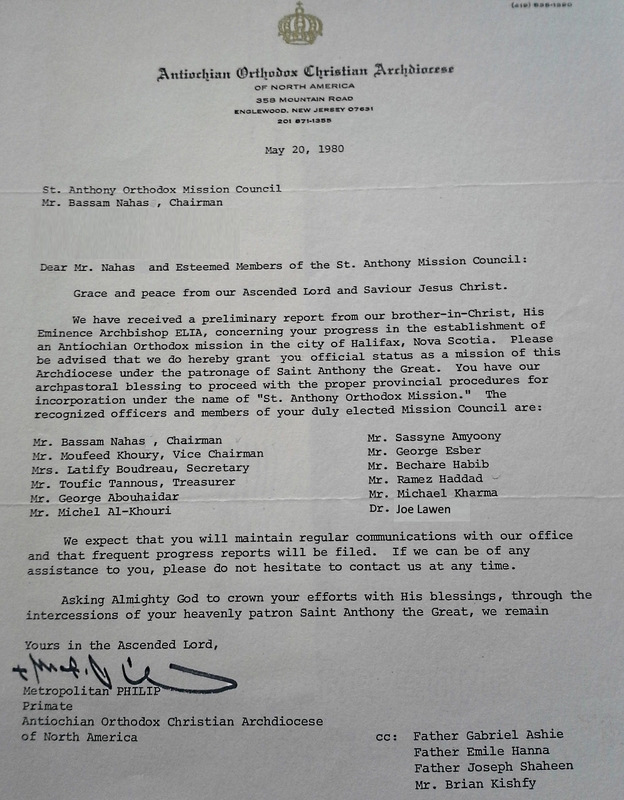 Letter from Metropolitan Philip Saliba indicating that the organization was now a mission under the patronage of Saint Antonios (May 20, 1980). 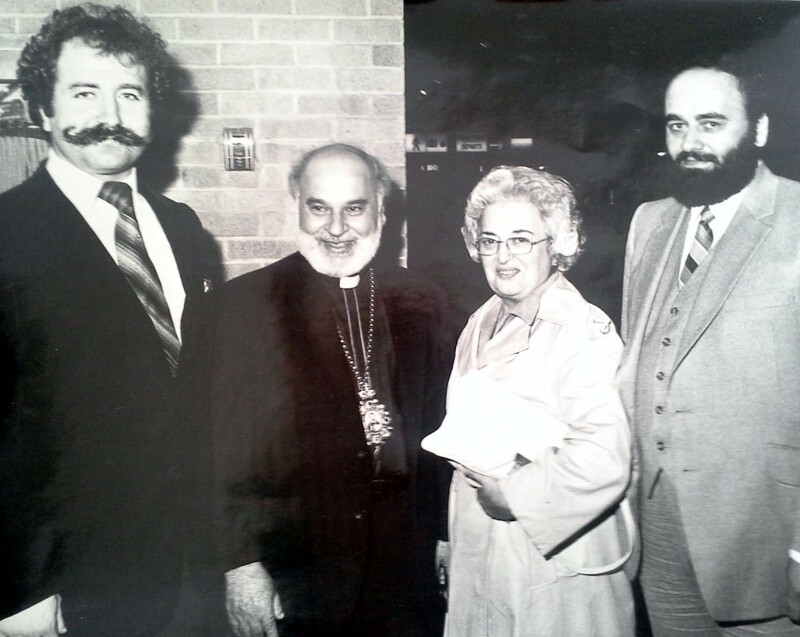 Archbishop E. Saliba visited in 1980 to evaluate the community's desire to establish an Antiochian Orthodox Church in Halifax. The community decided to proceed and purchase a new Church, and they subsequently invited Archbishop E. Saliba to revisit Halifax and bless the establishment. It is perhaps surprising that a Church was bought without a Priest, however, that act conveyed the community's determination. That determination stemmed in part from immigrants who sought solace in the Orthodox Church as a link to their past, their traditions, and culture. A glimpse into the emotions those individuals experienced when settling in Canada is displayed in the video below. 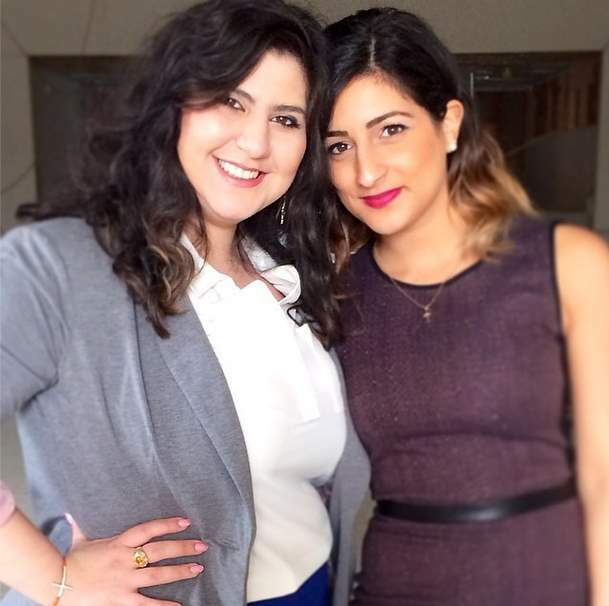 The telling documentary was produced by Amanda Mina and Nicole Khoury, and features numerous Parishioners. The second clip below conveys the immigrant experience via a poem by Chantal Khoury entitled "Common Ground". She recited her poem at the 2016 Lebanese Festival. 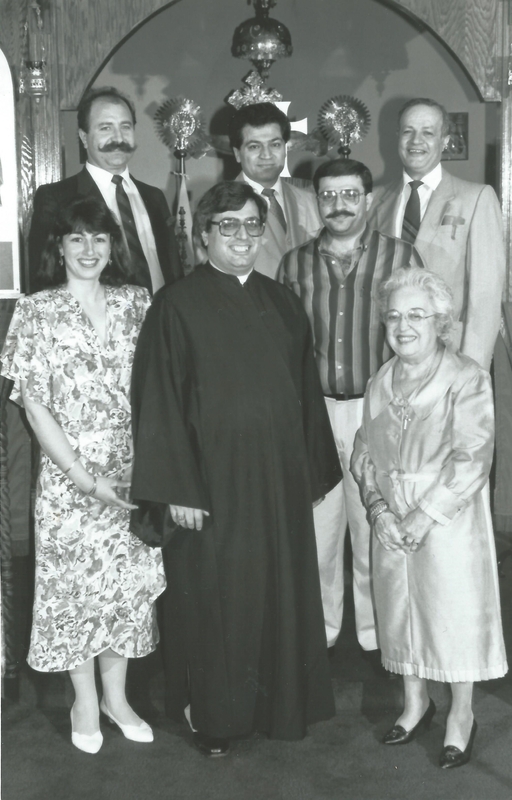 At the first Sunday Church service for Saint Antonios, the room was packed, and Linda and Bassam Nahas decided to mark the special occaision by getting married that day (September 7th, 1980). Fr. 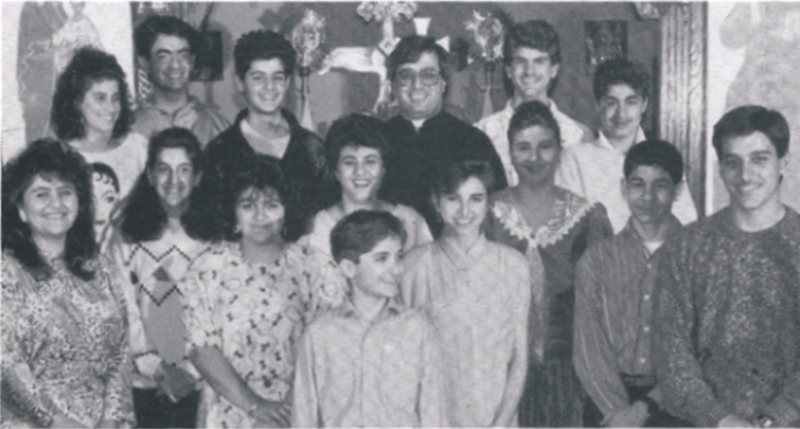 Elia Shalhoub, who was born in Lebanon, arrived several days later and was selected to help grow this new Parish. He served the community for 11 years, and was subsequently issued the important task of helping build a new Church in Toronto. 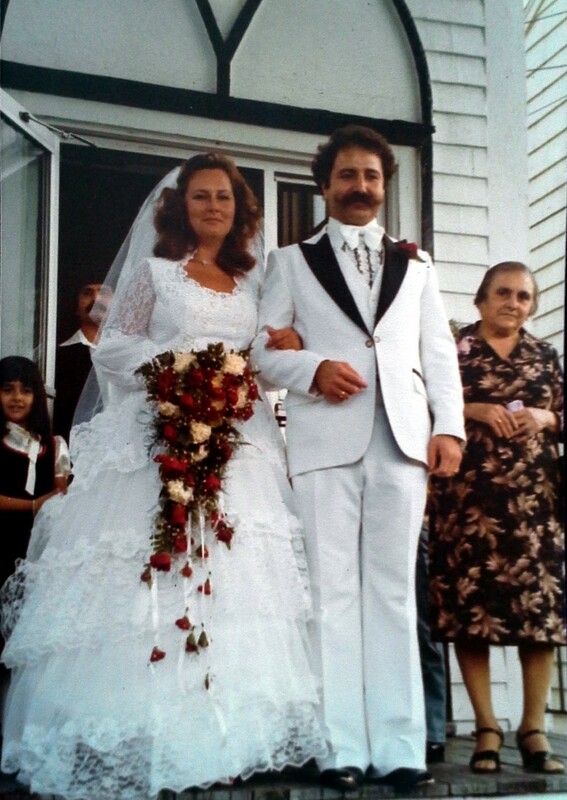 At the Church's first Sunday service, the first wedding took place (Linda & Bassam Nahas). "Serve wholeheartedly, as if you were serving the Lord." 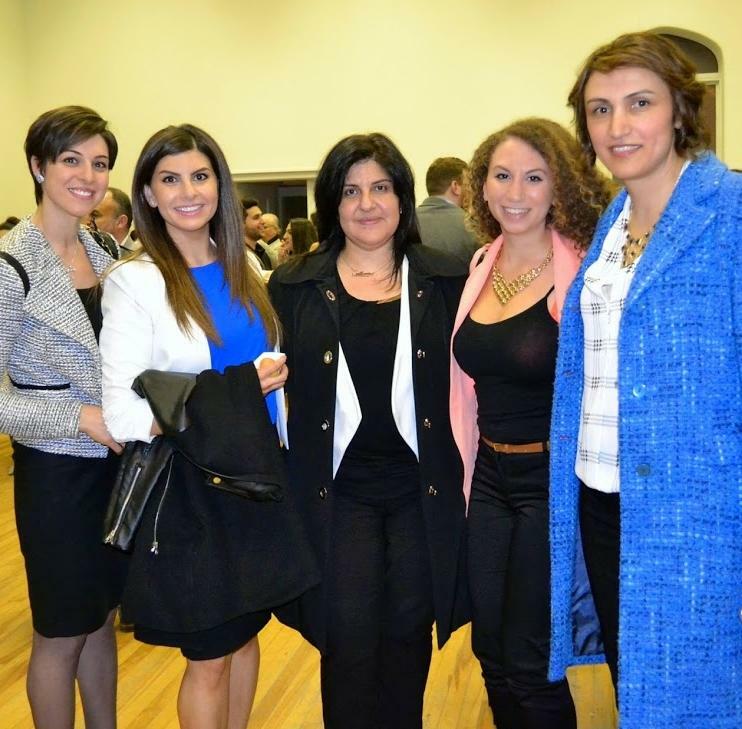 2015 marked a special year at Saint Antonios owing to the election of the first female president of the Parish Council (Affaf el-Jakl, right). The Parish Council, its President, and the Church Priest have the ownerous task of helping administer the Parish's numerous organizations. Saint Antonios has been particularly fortunate that the presidents have brought significant and diverse expertise to bear. It is likewise delightful that former Teen SOYO or Fellowship members have years later contributed by becoming Parish president. Firstly, we are grateful to residents of the local community and former members of Saint Matthias Parish, who are always welcome in our (their) new Church. Saint Matthias Parish dates back to approximately 1882, and has a long and prestigious history. The Church survived the Halifax Explosion, and Parish members fought and died in both World Wars. Several years ago Saint Matthias Church faced closure and potential demolition. However, a plan was initiated by local Christians to maintain the institution as a place of worship. The parish of St. Antonios, whose congregation had outgrown the capacity of their original Church, would move into Saint Matthias after the completion of extensive renovations. A byproduct of that decision would be the preservation of Saint Matthias’ legacy, and it would allow the establishment's impact to span from the 19th into the 21st century. Note that Saint Matthias is heralded by both the Orthodox and Anglican faiths, and consequently it is fitting that Saint Matthias and Antonios are the patron saints of the new Church. 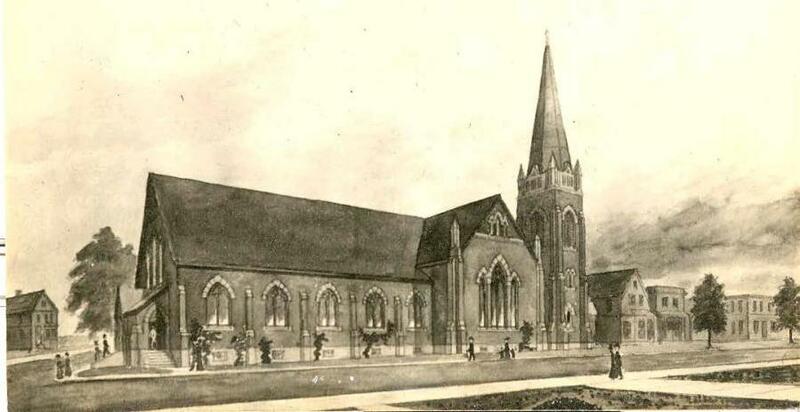 Saint Matthias was originally a mission (c1882) from Saint Paul’s and Saint George’s Anglican Churches. 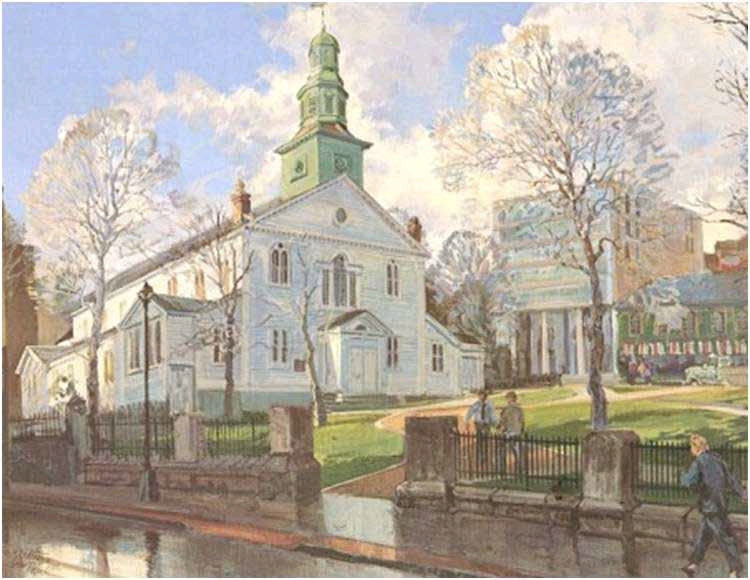 Saint Paul’s is the famed Church located in Parade Square (downtown Halifax), and was among the first Anglican Churches in Canada. However, the noble history does not stop there. 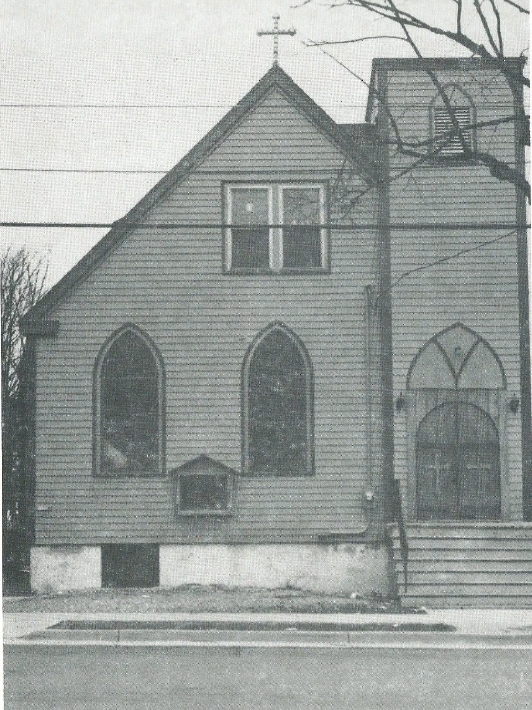 The property where Saint Matthias Church would emerge was donated by the Anglican Bishop H. Binney, who was likewise instrumental in renovating Saint John's Church in Lunenburg. Bishop Binney may have also played an important role in the mystery of the Stars of St. John's Church. The new Saint Antonios Church is actually incorporated into what was formerly the 2nd Saint Matthias Church, the latter being initiated in 1914 and designed by a young individual named James Harris (his uncle was associated with the Church in Mahone Bay). 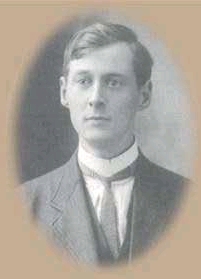 James was less than 30 years old at the time. There is precious stained-glass exhibited throughout the new Church, which was graciously bequeathed by members of Saint Matthias Parish, with the benefactor often highlighted at the base of the glass. Certain panes stem from the famed McCausland’s of Toronto, which is one of the oldest surviving stained-glass studios in the Western Hemisphere. An example of the beautiful stained-glass displayed in the new Church is shown on the left (see the complete gallery). The panels feature the apostles Peter and Paul (formerly Saul), whereby the individual on the left is Peter, and Paul is on the right. The two were rather active in the ancient city of Antioch. Antioch (Saint Antonios Antiochian Orthodox Church) was the birthplace of our Church, and it was central to the history of early Christianity. It is estimated that the city may have hosted more than 100,000 citizens during Christ’s era. The city is believed to be located near the present day border between Syria and Turkey. Those desiring to learn more about the history of Saint Matthias Parish will find the following document pertinent: Saint Matthias Parish History 1878 - 1978 .